News Beat reporting is an idrw.org initiative to let our Readers to report News Based on Actual facts but some how has not been reported in Main Stream Media . 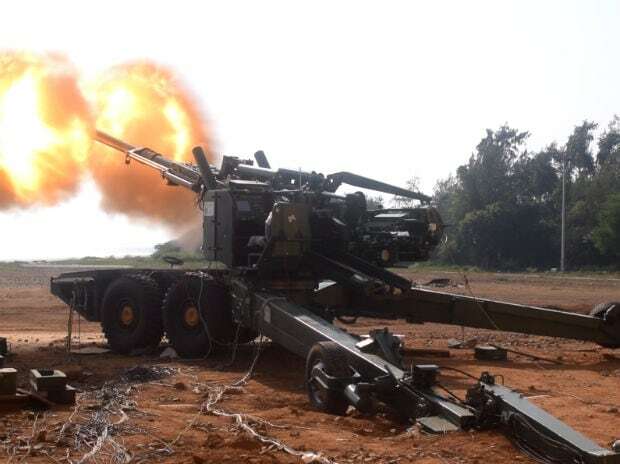 The Ordnance Factory Board (OFB) based on Indian Army’s current requirements have developed a Prototype Truck-Mounted Howitzer fitted with a 155 mm/52 Dhanush howitzer which is currently going through Internal trials before it can be offered to Indian Army for Trials. Indian Air Force has again issued Requested for Information (RFI) for procurement of 110 fighter aircraft. 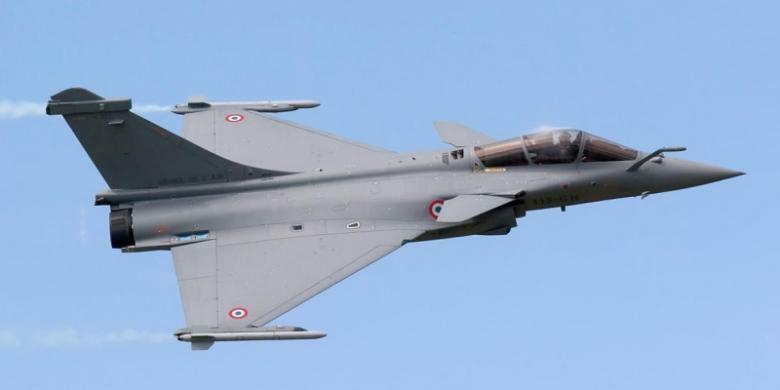 According to RFI which idrw.org has gone through, IAF indents to procure 82 Single Seater and 28 Twin sear aircraft and the selected vendor has to supply 16 aircraft in flyaway conditions. Indigenous artillery gun Advanced Towed Artillery Gun System (ATAGS) developed by DRDO with Kalyani Group and Tata Power Strategic will be showcased also along with Ordnance Factory Board (OFB) developed Dhanush artillery gun for the first time together at upcoming Defexpo 2018 to be held be held in Chennai from April 11 to 14. Chandraker Bharti, Joint Secretary (Aerospace) while speaking to the media said that Final Operational Clearance (FOC) of Tejas MK-1 will be completed this year and also confirmed that many countries are interested in the purchase of the aircraft but refused to disclose the names. The Light Combat Aircraft (LCA) – Tejas SP-9 (LA-5009) completed its maiden flight after taking off at 10.33hrs from HAL Airport in Bengaluru on 24 March 2018 piloted by Air.Cmdr KA Muthanna (Retd). SP-9 flew for 21 mins and landed back at 10.54hrs. The Light Combat Aircraft (LCA) – Tejas SP-8 (LA-5008) completed its maiden flight after taking off at 15.42hrs from HAL Airport in Bengaluru on 13 March 2018 piloted by Gp. Capt. KK Venugopal (Retd) . SP-8 flew for 33 mins and landed back at 16.15hrs . Defence Minister Nirmala Sitharaman while briefing countries Parliamentarians for the first time disclosed development of new missile systems which Country’s premier Public sector company Defence Research and Development Organisation (DRDO) has taken up lately. 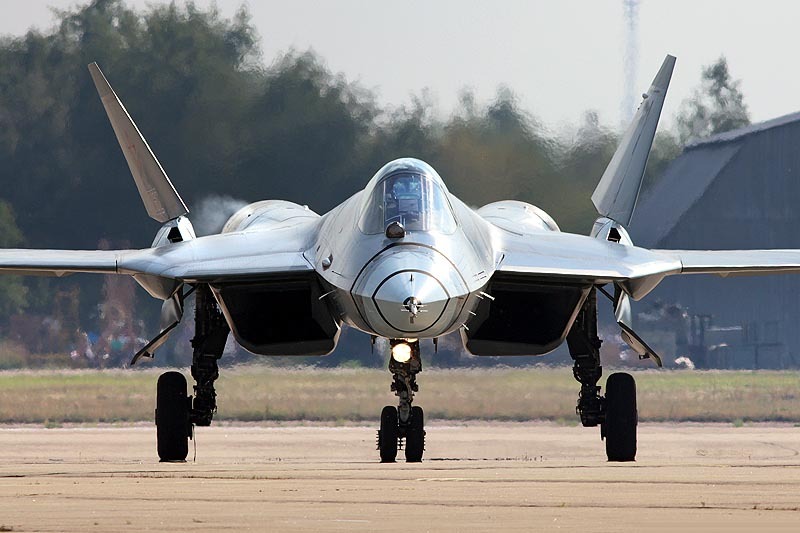 Once dubbed “abhorrently expensive”, India and Russia are again going to sit together to talk how to move forward on the proposed joint development of Fifth Generation Fighter Aircraft (FGFA) based on Sukhoi Su-57 during Defence Minister Nirmala Sitharaman upcoming visit to Moscow. Second indigenous developed Airborne Early Warning and Control System (AEW&C) ‘Netra ‘ Aircraft will be handed over to Indian Air Force Next month after DRDO was able to further fine-tune state-of-the-art active electronically scanned radar, secondary surveillance radar as per the recommendation of IAF. IAF interested in Snooping version of Saras ?? National Aerospace Laboratories (NAL) designed 14-seater multi-role transport aircraft ” Saras project ” is back online after suffering from long slow down which hit the project after a prototype suffered a crash in March 2009 leading to the killing of its crew. According to report prepared by Defence Analysts Shiv Aroor, Indian Air Force and Government of India have stuck an understanding with India’s State-owned DRDO to begin the ground process to develop an Air Launched Variant based on India’s first Sub-Sonic Nirbhay cruise missile within next two years. Indian Airforce is hoping that the process to procure six flight refueler aircraft (FRA) for the third time will be successful after two previous attempts have successfully wasted 7-8 years in the process if not then further bad news awaits says Industrial sources close to idrw.org. Indigenous 155/39 Ultra Light Long Range Artillery heading for firing Trials? Baba Kalyani, chairman and managing director of the Kalyani group, in his recent interview to a News Portal, said that Ultra Light Long Range Artillery developed by Kalyani Strategic Systems Ltd (KSSL) is heading for firing trials this year in May-June. First, of the aircraft coming from the second LCA-Tejas line, SP-5 successfully conducted its maiden flight yesterday after suffering delays of few months due to technical reasons. SP-5 after few rounds of Initial flights will be handed over to the No. 45 Flying Daggers, the first Indian Air Force (IAF) squadron to be equipped with the Light Combat Aircraft (LCA) Tejas. According to a report prepared by Shiv Aroor, India’s Public sector Aerospace Design Major Aeronautical Development Agency (ADA) and Indian Institute of Technology Kanpur (IITK) who are jointly working on development of India’s first Stealth unmanned combat aerial vehicle (UCAV) are planning to carry out first flight trials of a scaled model of Ghatak UCAV Codenamed SWiFT (Short for stealth wing flying testbed) by end of this year .